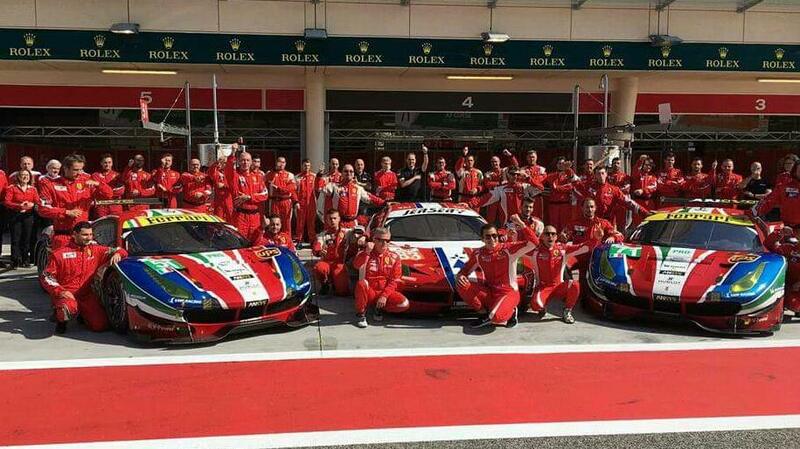 Sakhir, 19 November 2016 – Ferrari won the GT Manufacturer title in the World Endurance Championship (WEC). 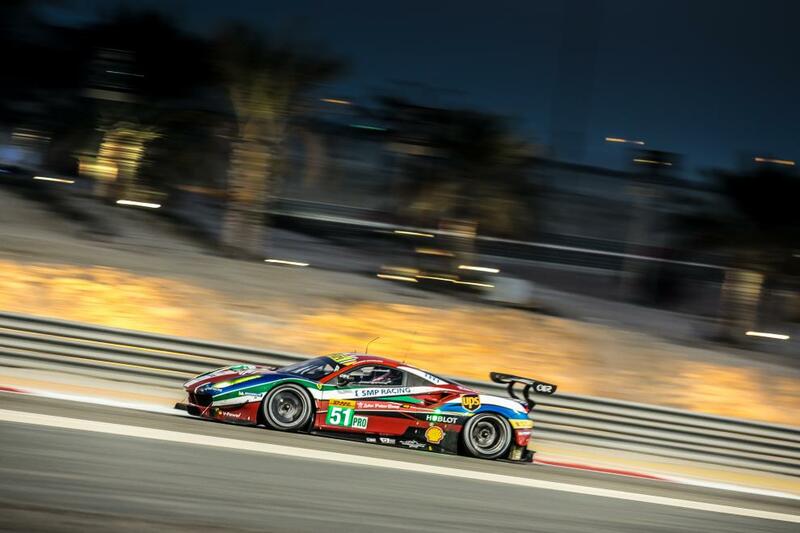 The victory came at the end of the 6 Hours of Bahrain where Gianmaria “Gimmi” Bruni and James Calado, with the 488 GTE no. 51 came second in front of teammates Sam Bird and Davide Rigon in no. 71 car. This is Ferrari’s fourth win in five editions of the WEC, the sixth if we include the two Intercontinental Le Mans Cup of 2010 and 2011. Emmanuel Collard, François Perrodo, Rui Aguas and the AF Corse team of Amato Ferrari rounded off a memorable day with the drivers’ and teams’ title in the GTE-Am class, with the 458 Italia GTE, which showed it is still a very competitive car. GTE-Pro. In the GTE-Pro class “Gimmi” Bruni started the race in no. 51 and Davide Rigon in no. 71. Bruni got off to a flying start that saw him leap ahead of the two Aston Martins that had monopolised the first row in qualifying. However during the race the British cars managed to move back into the top two positions. 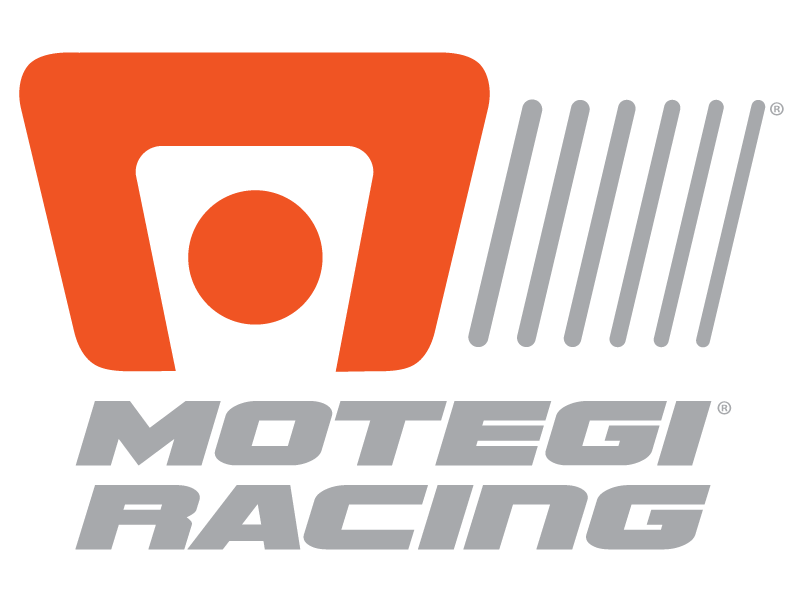 The key incident occurred on the stroke of the third hour of the race, when the leading car, the no. 97 crewed by Johnny Adam and Darren Turner, had a problem with a wheel that forced it to return to the pits losing precious time. At that point, James Calado, in Ferrari no. 51, moved into second place while Sam Bird in no. 71 took fourth. However, the British driver pushed on to overtake Ford no. 67 driven by Andy Priaulx to earn a spot on the podium. Two hours from the end, with the Aston Martin no. 95 in command (Nicki Thiim and Marco Sorensen won the Drivers’ title), the two Ferraris just had to maintain their positions to clinch the Constructors’ World Championship. 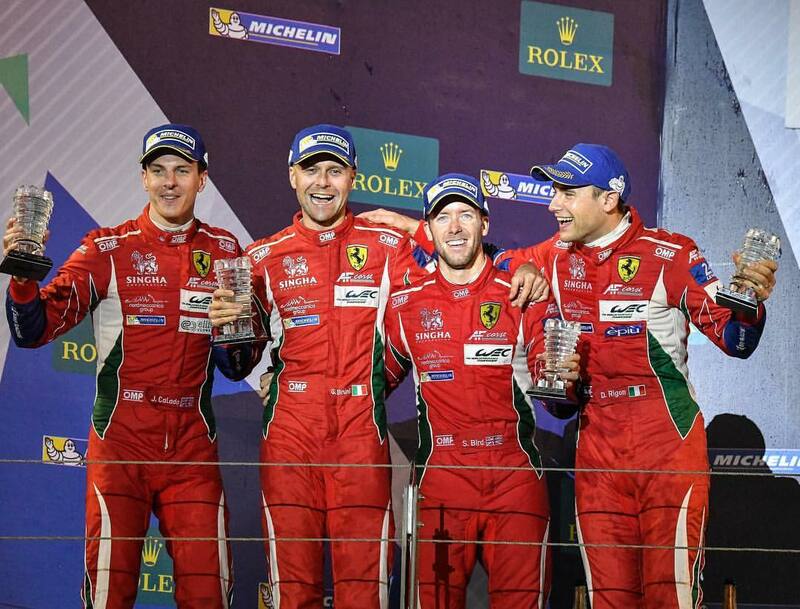 After just a year off the top the Prancing Horse had regained its customary dominance of the WEC. This is Maranello’s fourth victory in five editions, the sixth considering the Intercontinental Le Mans Cup that actually was the same series before the FIA agreed to sanction it as a world championship. GTE-Am. In GTE-Am class the 458 Italia no. 83 driven by Emmanuel Collard, François Perrodo and Rui Aguas secured the Drivers’ title two hours from the end, when the Aston Martin no. 98 of Pedro Lamy, Mathias Lauda and Paul Dalla Lana, the only rivals of Franco-Portuguese crew, were forced to withdraw due to a fault. AF Corse won the team title while the overall winner on their last race in the World Endurance Championship, was the Audi of Lucas Di Grassi, Loic Duval and Oliver Jarvis.